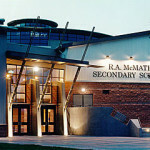 The second toss-up tournament in the Pacific North region will be held at the R.A.McMath Secondary School school in Richmond. It will begin at 10 am on Saturday the 16th for all spectators. We will be sending a total of thirteen teams that consist of juniors and seniors. For many of our juniors, this will be their first tournament! 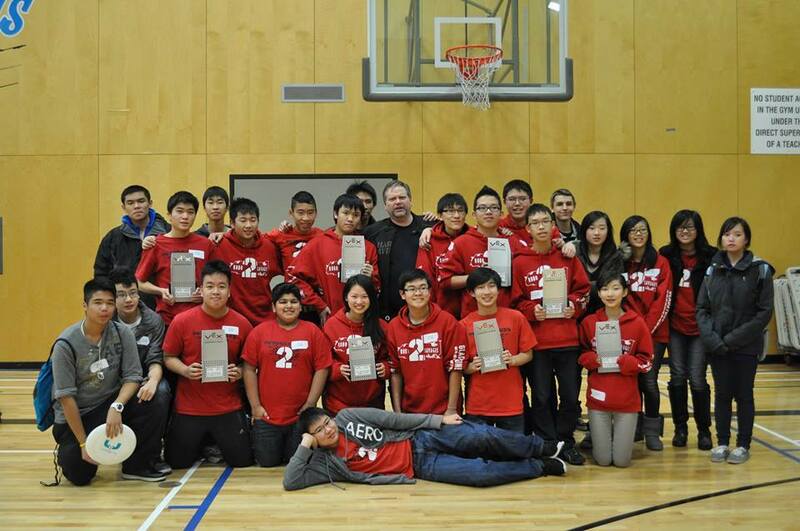 Vancouver’s Gladstone Secondary School is on top of the world this weekend, after taking home fir st and second place finishes at the VEX Robotics World Championship. This is the first time that a Canadian team has earned the top spot, but even more remarkable is that for the winning “Robosavages” team their toughest competition came from their own classmates. 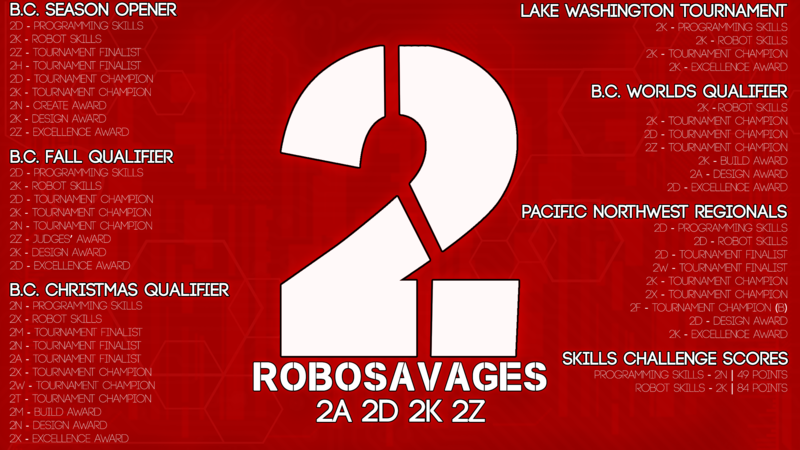 Gladstone robotics, will refer to its teams as Robosavages. The name change is to differentiate us from other schools named Gladstone (there are a few) and most importantly to pay tribute to Mr Michael Savage, a former teacher at Gladstone who worked with Mr Ablett to start our engineering classes which lead to our participation in VEX robotics. Mr Savage passed away in 2004 after a battle with cancer. 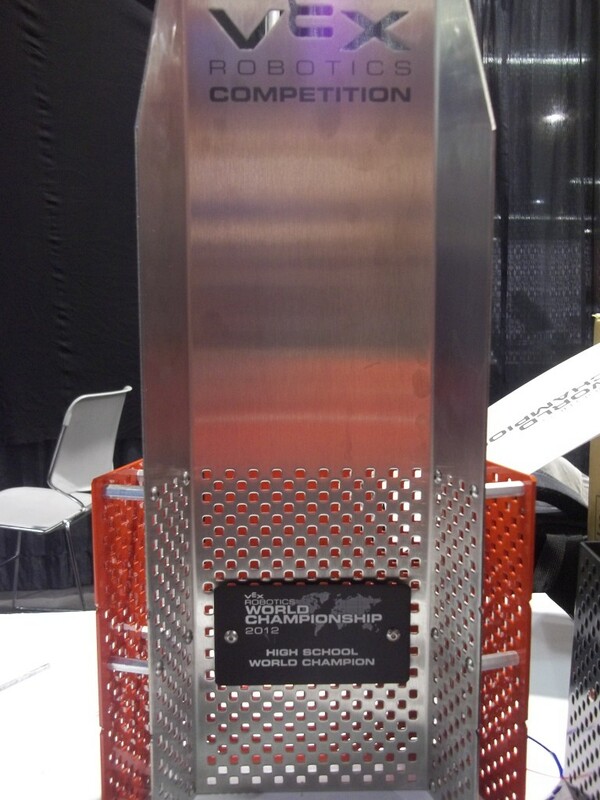 Months of work and countless hours of strategizing, designing, building and programming have lead to an amazing result. Team 2 A placed 2nd in the world in the Programming Challenge. They were narrowly outscored by the defending world champ and our team beat the 3rd place team by nearly 40 points. We are very proud of the students and their efforts.